Lots of trends, including quilting in the hoop, and other in-the-hoop projects. swpea.com – Always fresh, new designs with ideas like refrigerator handles, mug rugs and other adorable projects. Amelie Scott – I like this gal. Met her at market, and she is as normal as they come. 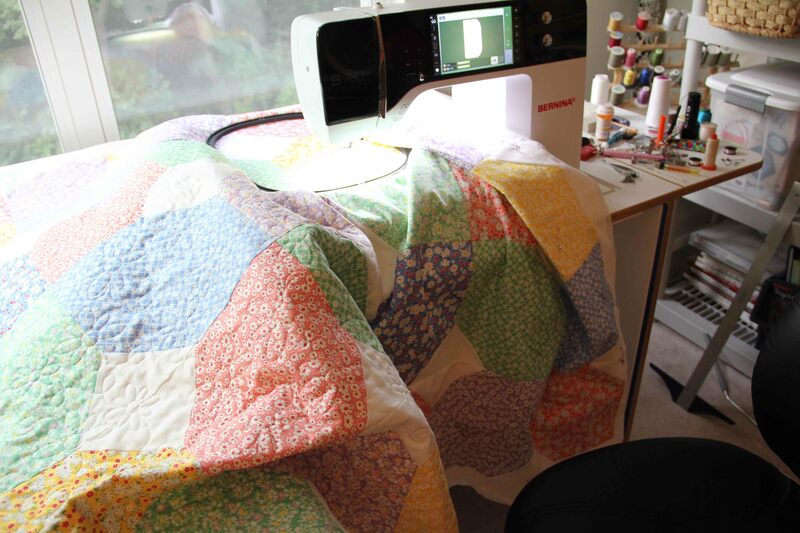 Her “Edge to Edge Quilting on Your Embroidery Machine” book is innovative and easy to use. Loving her new holiday patterns. embroideryonline.com – A great place to find professionally digitized designs. They stay up to date and add new collections regularly. urbanthreads.com – One of my favorites. Not your grandma’s embroidery. And even if you’re grandma, you’re going to find something here to love. Well-designed, reliable and innovative. embroiderygarden.com – Lots of cute stuff here, but in particular, check out the “In the Hoop” designs. Some wonderful ideas for small bags, wallets, etc.